Love is one of the strangest and the strongest emotion known to mankind. It has the power to change everything. It makes everything seem okay even in an adverse situation and gives you the thrust needed to get through it. Love is a common theme in any form of entertainment media be it movies, tv shows, songs, books, cartoons or anime. So, why not explore some of the best couples we have encountered in anime. Some of them are what you would call cute anime couples. The list includes gay anime couples and lesbian anime couples. 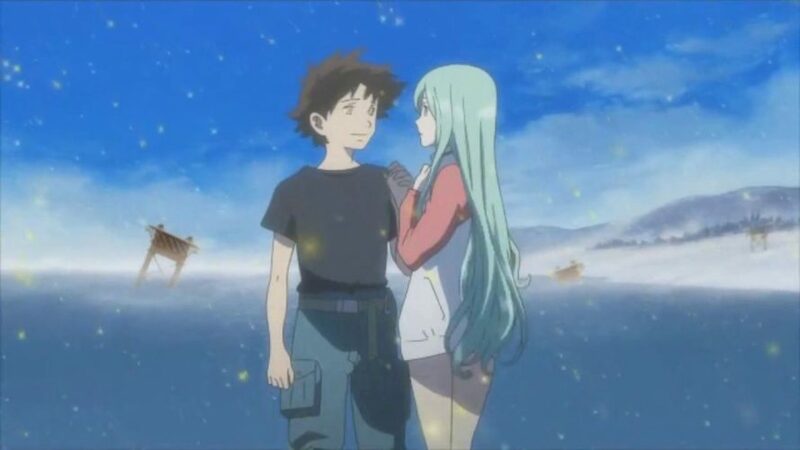 ‘Eureka Seven’ is an entertaining mecha anime. If you are a fan of the genre then you have probably seen or are acquainted with the anime. The male protagonist of ‘Eureka Seven’ is Renton Thurston who lives a boring life and wants to go on adventures along with the famous mercenary group Gekkostate. 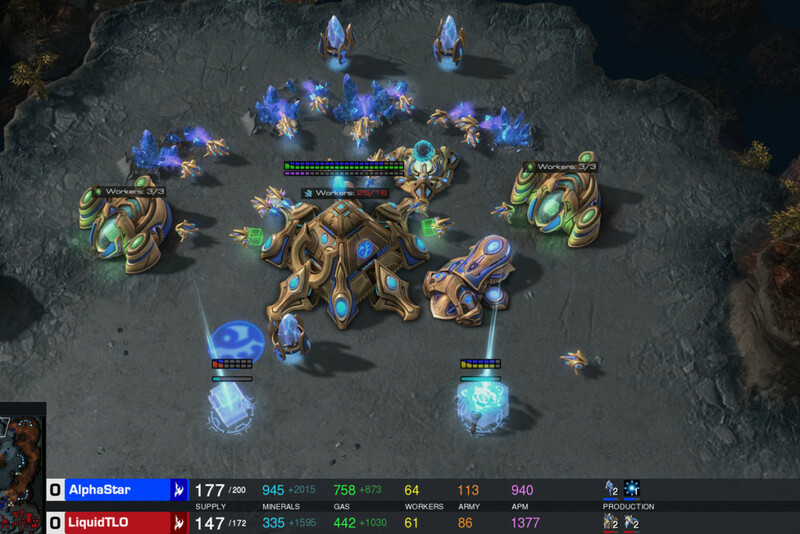 One day, a mecha crashes on his garage. The pilot of the mecha is a girl by the name of Eureka. He helps her fix the robot and learns that she is a member of Gekkostate. After joining the group as a co-pilot of Eureka Renton’s adventure begins. Over the course of the series, we see their relationship develop. Eureka has an ice-cold heart at the beginning but slowly her barrier melts away. Renton who is quite immature at first develops a strong attitude. He falls in love with Eureka and does his best to protect her. One of the best fantasy, adventure anime out there is ‘The Seven Deadly Sins’. 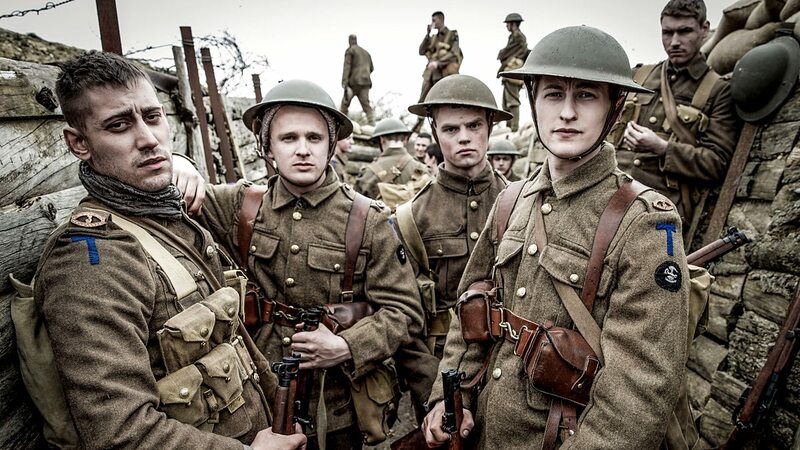 The characters of the show are pretty decent and make you invest time in the series. People who love the concept of power levels and stuff is going to like the series too. The Seven Deadly Sins are a group of knights who used to be affiliated with the Holy Knights but supposedly betrayed them in an attempt to overthrow the king and take control of the kingdom. The Holy Knight seemingly defeat them but rumors of their survival persist. So, when the holy knights themselves perform a coup and overthrow the king, Princess Elizabeth must find the Sins to regain her kingdom. Ban, a member of the sins, represents the sin of greed. He truly loves Elaine and searches for ways to bring her back from dead. Their relationship at first starts on the wrong foot but later develops as Ban gets close to Elaine and help her save the Fairy Kingdom from a demon. Elaine dies in the process but allows Ban to drink the fountain of youth water giving him immortality. 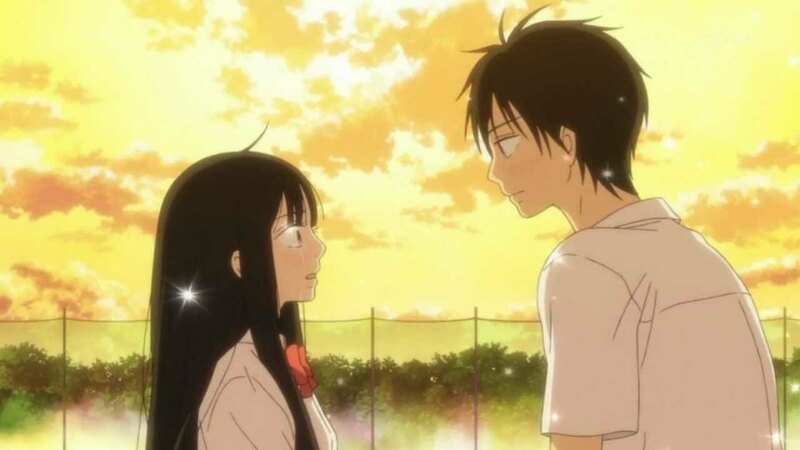 ‘Kimi ni Todoke’ is a fun little romantic anime. The concept isn’t something new but it feels quite fresh. Kudos to the creators for making a dull, uncharismatic protagonist quite interesting. Kuronuma Sawako is a nice girl but her peers completely misunderstand her. Sawako is given the nickname of Sadako because of her appearance resembling the ghost girl from the horror movie ‘The Ring’. But all Sawako wants is to make friends and enjoy school life. Kazehaya Shouta is the most popular guy in the class and draws the attention of Sawako. When Shouta approaches and starts conversating with her it seems like her hopes might have a chance of fulfillment. The chemistry between the couple is really entertaining and makes you go on watching the show until the end. Sawako is quite shy and has a hard time expressing her feelings to Shouta but when they finally confess their feelings both are quite happy and makes the viewers feel the same. 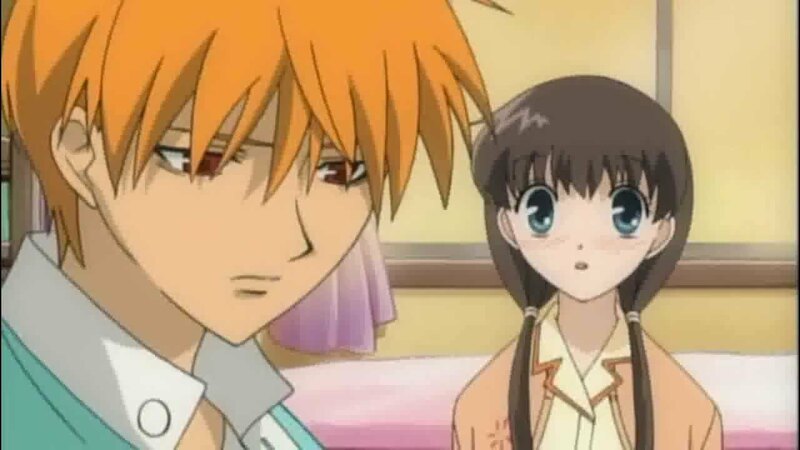 ‘Fruits Basket’ is a different sort of romantic comedy. Tooru is the female protagonist of the series. Her parents die in an accident and as a result, she has to move in with her grandfather. But since his house is undergoing renovations she cannot live there. She starts living in a tent in the woods as she did not want to burden any friend of hers or undergo criticism from her family. But one day she finds her tent buried under a landslide. She does not know what to do but then the most famous guy from her school Yuki Souma and his cousin helps her out asking her to stay in their family house. But soon Tooru finds out that the family suffers from a curse. If any member of the family receives a hug from the opposite gender they temporarily transform into an animal of the zodiac. Kyou is one of the members of the family. He turns into a cat when hugged by a girl. He is quite withdrawn and has a short-temper. But he likes Tooru. Tooru experiences a range of emotions while staying in the Souma household and she has interesting chemistry with Kyou. Inuyasha and Kagome are a great couple. The complexities of their relationship make watching the couple much more interesting and entertaining as well. ‘InuYasha’ is a decent fantasy, adventure anime. Kagome Higurashi the female protagonist of the series has an important piece of jewel, Shikon Jewel, inside her. This is why a demon attacks her and pulls her inside a cursed well on her family’s shrine. But instead of falling to the bottom Kagome is taken 500 years in the past. Japan is currently in the Sengoku period which is a violent era. 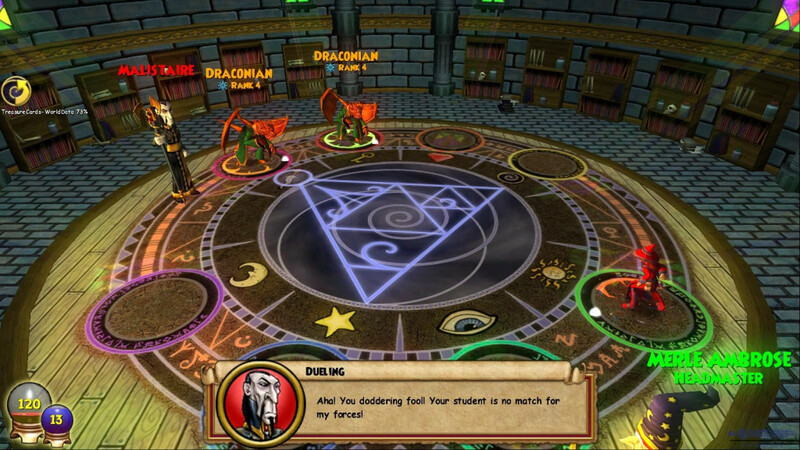 During a fight with the demon, the jewel inside her breaks and scatters. Kagome then enlists the help of Inuyasha, a dog-demon/human hybrid to find all the shards of the jewel before they fall into the wrong hands. Inuyasha has a broken heart, a courtesy of his first love Kikyo. He does not trust anyone and frequently attacks people. 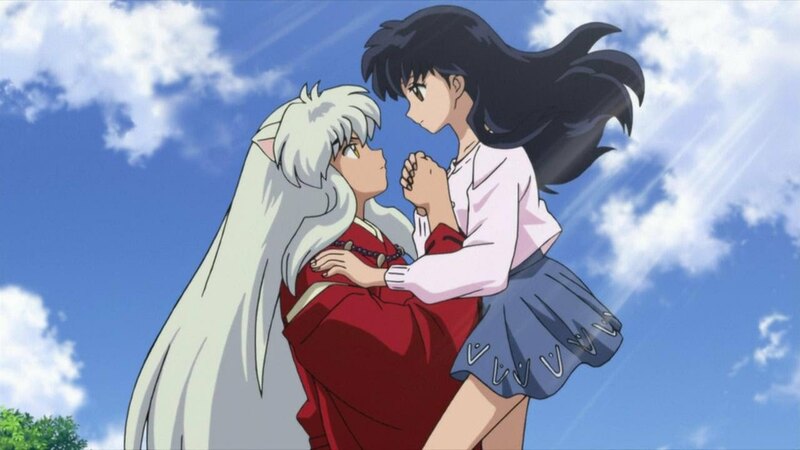 He feels Kagome is similar to Kikyo and develops feelings for her. But he questions his actions every time as he keeps remembering Kikyo. There’s a sort of mature feel to this relationship. 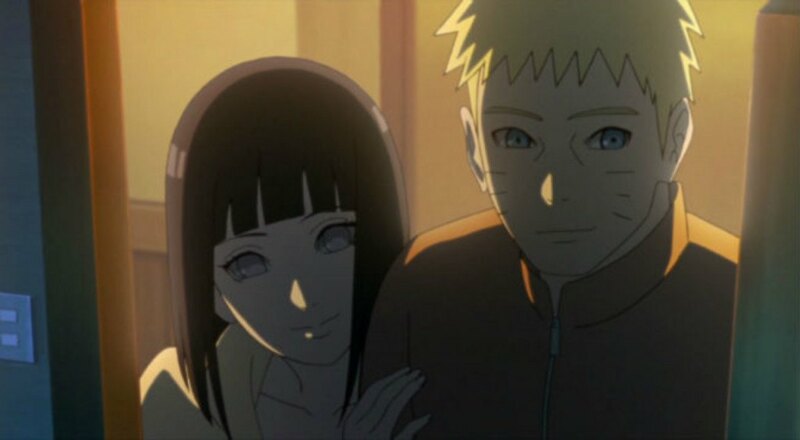 I really like the character of Hinata and wished for the series to explore her in much more detail. Since the anime is long over the wish is never going to come true. I mean given her importance in the later parts of the series you would hope to have some kind of detailed exploration of her. But we do get lots of glimpse of her falling in heads over heels (literally) for Naruto from the very start. Her love for him is the main contributing factor in her improving as a person and becoming a much better ninja. She works hard so that she can keep up with Naruto and protect him when he is in need. Naruto being a knucklehead does not notice her feelings for the longest time possible. He keeps on trying his best to impress Sakura whom he loves. But in the later (towards the end) part of the series we see him acknowledging her feelings and voila! Before you know guess who is getting married? ‘Shingeki no Kyojin’ or ‘Attack on Titans’ is one of the best action anime out there set in a dystopian past. The hopes for mankind is dwindling by day as humans are pushed towards extinction by massive humanoid giants known as Titans who stop at nothing to destroy everything in their path. They even consume humans. As a last ditch to protect themselves people have come up with 3D maneuvering gears which increase their range of movements allowing them to fight with the Titans in a much better way and cutting their nape which is their weak point. After witnessing the death of his mother at the hands of a Titan, Eren Yeager pledges to join the army and exterminate the Titans. 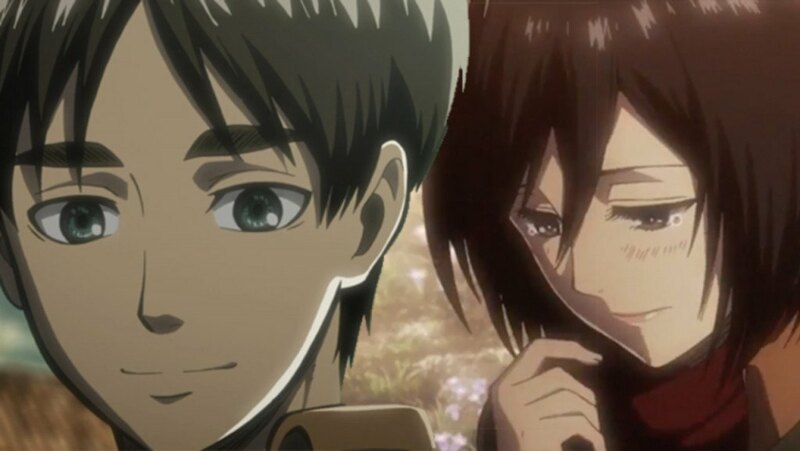 Mikasa is Eren’s adoptive sister. She loves him a lot and will do anything to protect him and this is the main motivation for her to join the army. Mikasa feels differently fro Eren and loves her more than a sister but her personality does not allow her to confess her feelings. There are lots of passionate moments between the couple without each explicitly showing their feelings which makes it much more interesting. 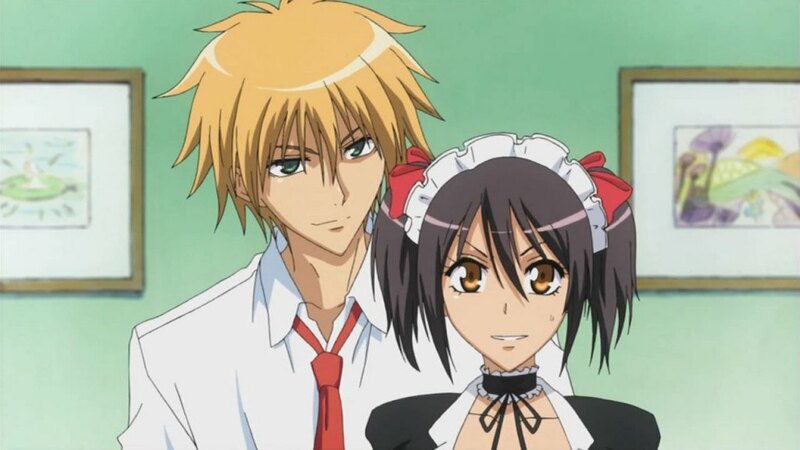 Any anime lover who loves romantic comedies will enjoy watching ‘Kaichou wa Maid-Sama’. It is a fun anime series which provides enough entertainment for the viewers. Misaki Ayuzawa is the first female student’s council president at the Seika High School. The school has recently become co-ed after being an all-boys school for a long time. Misaki is good at kendo and uses the techniques to discipline misbehaving boys and protecting the girls at her school. He strictness earns her the nickname, Demon President. But her flawless image might not stay such if people find out her secret. She works as a maid in a cafe to support her struggling family. So, when Takumi Usui walks into her cafe and her secret she must do anything to protect her dignity. But this means that Takumi has gained control over her. Will he use it to destroy her or try to get close to the demon president? The couple has got nice chemistry to keep the viewers invested in the series. It is fun to see Misaki going over changes during the series. 6. Takeo and Yamato, Ore Monogatari!! 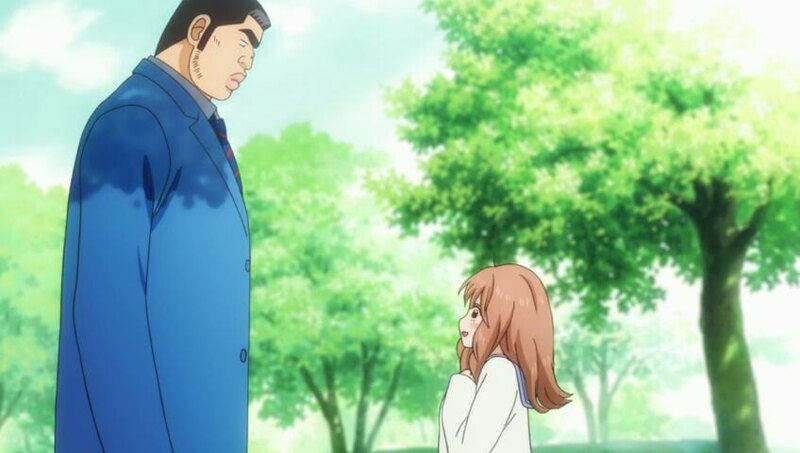 Up next is one of the cutest couples in anime, Takeo and Yamato. ‘Ore Monogatari! !’ is a really fun and entertaining anime for people who love romantic comedies. If you like cute relationship stuff then this anime is perfect for you. Takeo Gouda, the male protagonist, of the anime. His muscular built and physical prowess makes him the manliest man ever but he is not what you would typically call as handsome. So, girls often tend to stay away from him. His best friend is Makoto Sunakawa who is really handsome and whomever Takeo has a crush on ends up falling for Makoto instead. So, when he saves a girl, Yamato, from a molester and she asks his contact information Takeo thinks that she likes Makoto and decides to play the cupid for both of them. But he is in for a pleasant surprise? Though there’s a huge difference in their size they love each other deeply and try their best to keep each other happy. Staying in the region of difference in physical appearance let’s meet our next couple, Risa Koizumi and Otani Atsushi. I am not a fan of the romantic comedy genre but the above few anime from the genre are some of the best anime I have seen. ‘Lovely★Complex’ is an anime which one should watch while taking a break from the normal serious stuff they generally watch. This anime is really fun and entertaining. Risa Koizumi is the tallest girl, taller than an average girl, in the class while Otani Atsushi is the shortest boy, shorter than an average boy. They become friends encouraging each other to find love when their crushes fall in love with each other. Their friendship grows much deeper over the course of the series as viewers are given a treat of their fun chemistry. Though their physical appearance is a lot different they soon find similarity in their tastes which slowly pulls the couple closer. ‘Fullmetal Alchemist’ is one of the best action, sci-fi anime out there. If you have not seen it yet you are missing a lot. This is one of those shows which makes you understand what was it that made you fall in love with anime in the first place. The show revolves around alchemy which is a technique to understanding matter and thus being able to decompose and restructure it. But there’s a law of equivalent exchange which states that to gain something one should lose something of equal value. Edward and Alphonse are quite sad after losing their mother and wants to bring her back from dead using the forbidden human transmutation. Things don’t go as planned and Edward ends up losing his right arm and left leg and Alphonse loses his body. Now, the brother’s are in search of the mythical philosopher’s stone which will allow them to bypass the law of equivalent exchange and get their bodies back. Winry is an automail mechanic who fixes Edward’s limbs. She is quite concerned about the brothers and is annoyed by the fact that they don’t tell her much about themselves anymore. 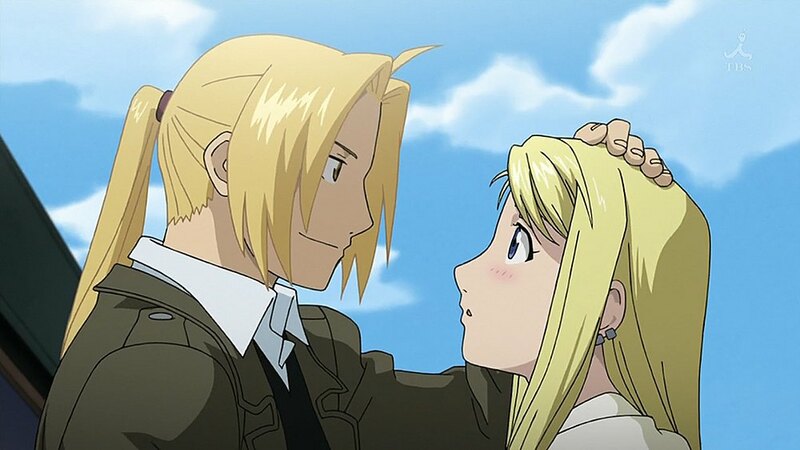 Winry falls in love with Edward but it takes the latter a long time to realize that. Winry supports Edward all the time but that doesn’t stop them from fighting all the time. ‘Nodame Cantabile’ is a relatable anime about passion. The show is not just some romantic comedy filled with music but is much more than that. The anime showcases what it means to have an undying love for a certain passion, how much struggle it takes to keep it alive, and what it means to fall in love or be infatuated. Along with the fun fictional side, the anime also hits the viewers with harsh realities. Shinichi Chiaki is one of the best violinists in Japan and is infamous for being a perfectionist. He wants to go to Europe and play among some of the best musicians but his fear of flying keeps him in Japan. Megumi Noda is a fantastic pianist and awes Shinichi with her skills but Shinichi is stressed by the fact that Megumi is his neighbor and also by the fact that she falls in love with him. 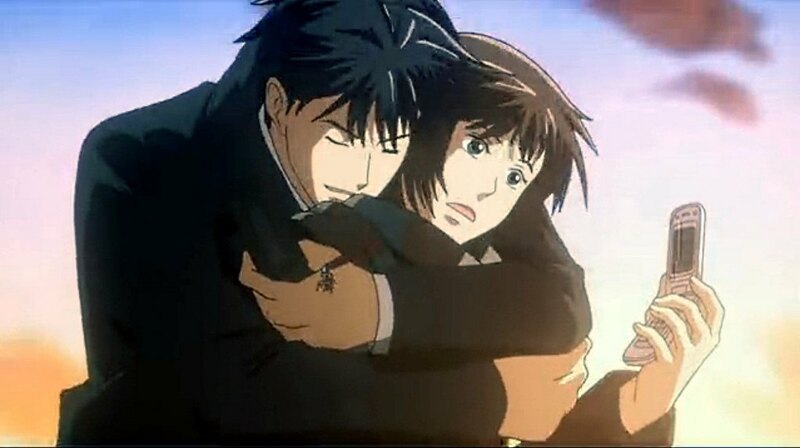 It is entertaining to see the couple grow closer over the course of the series before reality hits them hard. It is hard to get a shounen-ai anime right. But believe me when I say that ‘Doukyuusei’ is one of the best shounen-ai anime movies out there. It is really entertaining and does not contain any ‘done to death’ tropes. It is a movie about self-discovery and first love. Rihito Sajou is a straight-A student. He is quite proficient in academics and even got perfect scores in the high school entrance exam. Hikaru Kusakabe is a member of a band and plays the guitar. Naturally, he is popular among girls. This unlikely duo meets when the Hikaru offers his help to Rihito to prepare for the choir in the upcoming festival. Soon, they start spending time together and grow closer, only to realize that they have become much more than friends. Hikaru is straight and bold with his feelings while Rihito is shy but eventually the latter opens his heart too. The depth and maturity in their relationship make it quite interesting to watch the couple grow. You knew this was coming, didn’t you? How can a list about couples end up not mentioning Kaori and Kousei? 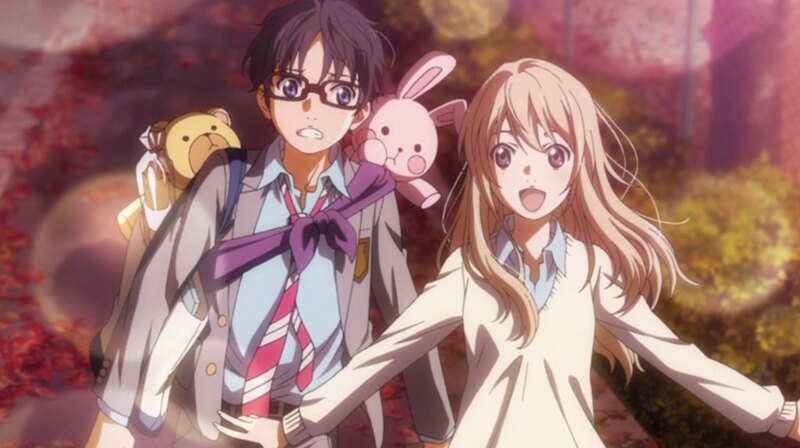 The emotions they have evoked among the viewers of ‘Shigatsu wa Kimi no Uso’ is phenomenal. The anime is a tear-jerker and the main reason for this is the beautiful and near perfect characterization of Kaori Miyazono and Kousei Arima. Both of them have troubled past and help each other to come out of their shell and enjoy life. The music they make brings them much closer and create something pleasant. It is hard not to think about the show while writing this and even now it makes me teary-eyed.